We are manufacturing a wide variety of Printed Paper Bags, which is known for its colorfastness and affordable prices. 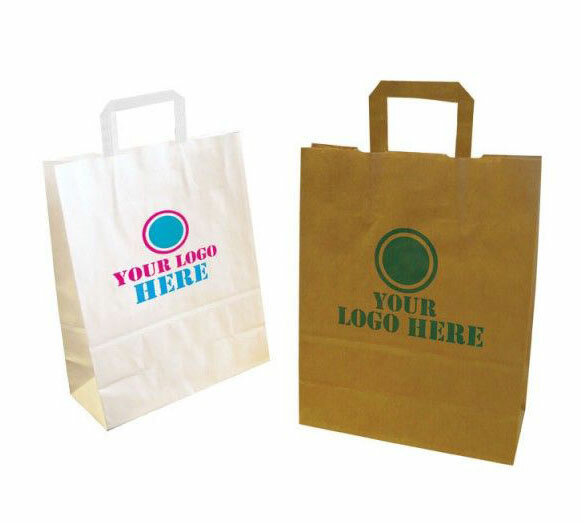 These Printed Paper Bags are available in different shapes, sizes, colors and designs. Kraft, art and duplex paper and eco-friendly materials are used for manufacturing these Printed Paper Bags. Moreover, single, two and four color printing is also available. Color : 1-4 Color Printing or Pantone Color as you required. Handles : Twisted/Flat Paper Rope Handles. Packaging Details :	The products are packed with supreme quality packaging material and labeled to avoid damaging of the products. The products are delivered at the client's destination at the given time line. All Rights Reserved. Kimberley Apparel Pvt. ltd.